We complain about winter, but there is lots to enjoy as well. Here are just a few ideas. Children ages 5-11 can try their hand at snowshoeing with the Saskatoon Young Naturalists (tentative January 5, 2014). The Saskatoon Snowshoe Club plans a variety of tours and overnight trips. They also provide a list of local businesses that rent snowshoes. Redberry Lake Biosphere Reserve hosts a range of winter family activities, including snowshoeing, as does Wanuskewin Heritage Park. The Hawood Inn, Waskesiu, lends out snowshoes free of charge. The Cameco Meewasin Skating Rink next to the Hotel Bessborough normally opens in mid to late December, and you can borrow a pair of skates. If you’re a skating enthusiast, check out the Clarence Downey Speed Skating Oval. There are different lanes for different speeds and lots of room for every skater. Gentle downhill skiing is available at Table Mountain Regional Park near Battleford. There are 11 runs, and they offer skiing services for people with special needs. Additional downhill skiing opportunities are available near Big River, Fort Qu’Appelle, and Kamsack. 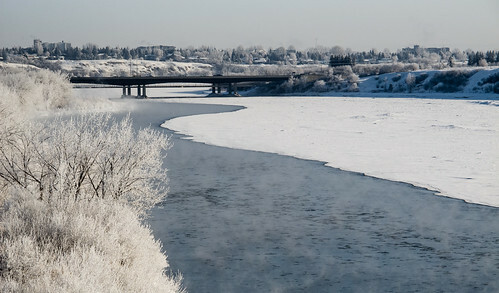 The City of Saskatoon maintains cross-country ski trails along the river and in various different parks and golf courses. The Saskatoon Nordic Ski Club offers ski lessons for children and adults, weekly ski touring, and groomed cross country ski trails. Volunteers maintain trails in Prince Albert National Park. Skis, poles, and boots are available free of charge from the Hawood Inn. Thirteen provincial parks have cross-country ski trails. CanoeSki Discovery Company offers cross-country ski courses. They also organize a Boreal Forest Ski Mushing weekend, which combines dog sleds and skiing. Learn to run a dog team while exploring the southern edge of Canada’s boreal forest with Sundogs Sled Excursions. The Sturgeon River Ranch offers horseback riding and sleigh rides. The Saskatchewan Outdoor and Environmental Education Association offers a variety of winter activities, including winter camping. Saskatoon Cycles and Bike Regina offer a number of winter cycling events. FatLanders FatTire Brigade in Saskatoon is the only known FatBike specific cycling club in Canada. Their members organize weekly rides throughout the winter and will be hosting several special events in conjunction with the Wintershines Festival in January. Stand very still and make small, repetitive noises - pishing, and you may be lucky enough to attract the attention of a flock of chickadees who will be delighted to eat sunflower seeds straight from your hand. Saskatoon Young Naturalists head out to Pike Lake to pish every winter (February 1, 2014). You can also join pishing parties at Beaver Creek Conservation Area. Every year, thousands of people around the world head outdoors for the Christmas Bird Count. 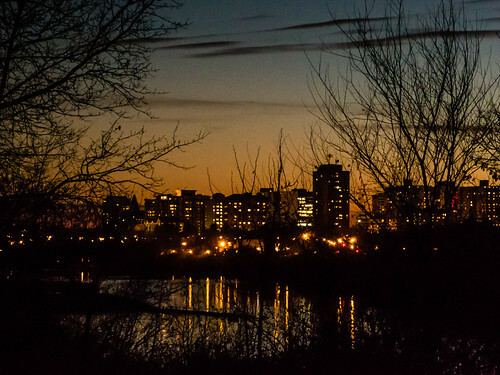 Join members of the Saskatoon Nature Society as they count birds in and around Saskatoon. The Society organizes frequent outings to view birds all year round. Everyone is welcome. How many different animal footprints can you identify? Children can check out basic animal tracks with the Saskatoon Young Naturalists (January 19, 2014), or you can teach yourself with a book or app. 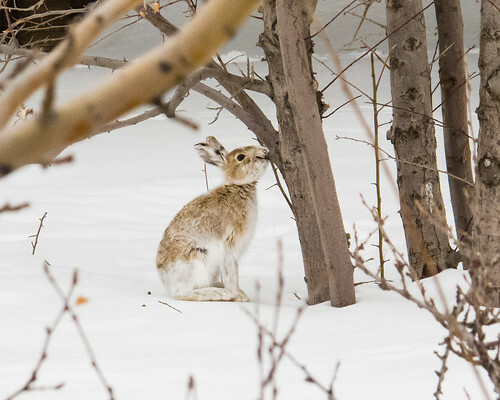 The Saskatoon Forestry Farm Park and Zoo is open all winter long and admission is free from November 1 to March 31. Why not celebrate the shortest day of the year with an evening walk along the riverbank? 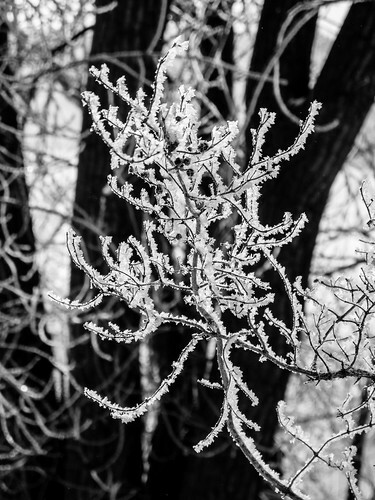 The PotashCorp Wintershines Festival at the end of January is an annual event, including ice climbing, ice sculptures, a children’s winter camp, and much, much more. Ice Cycle (usually held in February) is the coldest bicycle parade on the planet. It features a winter cycling workshop, a cycling costume contest, and live music.